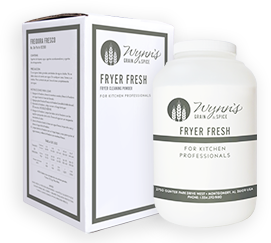 Wynn’s Fryer Fresh cleans your fryer from the inside out. This non-foaming cleaner whisks away deposits that degrade the quality of your shortening to ensure great-tasting fried foods. With Wynn's Fryer Fresh, our commitment to quality and taste is clear. 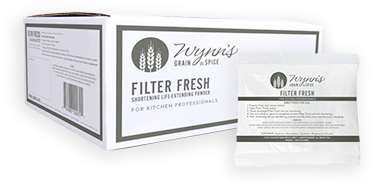 Wynn’s Filter Fresh is formulated to extend the life of your fryer's shortening. These easy-to-use packets boost the filtering power of your fryer by efficiently removing carbon deposits, fatty acids and sediment from your shortening. With Wynn's Filter Fresh, fried foods have never tasted better.